Today we are giving you the Haze Dual V3 Vaporizer Review. Yes, we are aware this is an older vaporizer. It has actually been around since sometime in 2014. And Yes, we are aware that it is discontinued! We haven't been able to find it for sale anywhere, although you can still purchase Haze Dual V3 parts and check out the new Haze Square Vaporizer with its Rotating Quad Chamber at VaporNation. Many studies have shown that vaporizing cannabis is one of the best ways to consume this herb as a medication or recreationally. There are hundreds of vaporizers that have hit the market as of today in 2019, so researching before you buy is a must! 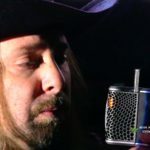 Here is Elijah's unbiased Haze Dual V3 Vaporizer Review along with our readers contributed reviews. Be sure to leave your review at the bottom of this review! What Is In The Box of the Haze Dual V3? Is the Haze Dual V3 User-Friendly? We would say the Haze Dual V3 is user-friendly for even a novice vaporizer user. It is pretty easy to operate, the Haze uses one button to turn on and to cycle through the four temperature settings. Watch as Elijah demonstrates this in the video below and shows just how long it takes to heat up and get vapin'! Is the Haze Dual V3 Durable? Although the Haze Dual V3 is a portable vaporizer that is not really that small... not stealthy at all. This vaporizer would fit in your pocket, but not very comfortably. Better put it in your backpack or purse! Because it is not flimsy and small for stealth reasons it is extremely durable! This thing is solid! So, you decide which you prefer... Quality & Durability or Stealthy! The Haze Dual V3 has very good airflow... it is kinda like smoking a thin cannabis cigarette. Elijah describes it as very intense compared to most vaporizers that he has tried. If you are moving from the world of joints to a vaporizer the Haze Dual V3 would certainly work for you.